After a 29 year absence, pantomime returns to the West End, with the classic rags-to-riches tale Cinderella. Down-on-her-luck Cinders slaves away at the hands of her Wicked Stepmother and Ugly Stepsisters, and is forbidden to attend Prince Charming's fairytale ball. But when her Fairy Godmother appears, it seems that Cinderella's wishes are all about to come true! With spectacular sets and glorious costumes, Cinderella at the London Palladium promises to be the perfect Christmas treat. Featuring Amanda Holden as the delightful Fairy Godmother, Paul O'Grady as the Wicked Stepmother, Julian Clary as Dandini, Lee Mead as Prince Charming, Paul Zerdin as Buttons, Nigel Havers as Lord Chamberlain and Count Arthur Strong as Baron Hardup, this starry cast promise to deliver a dazzling performance! 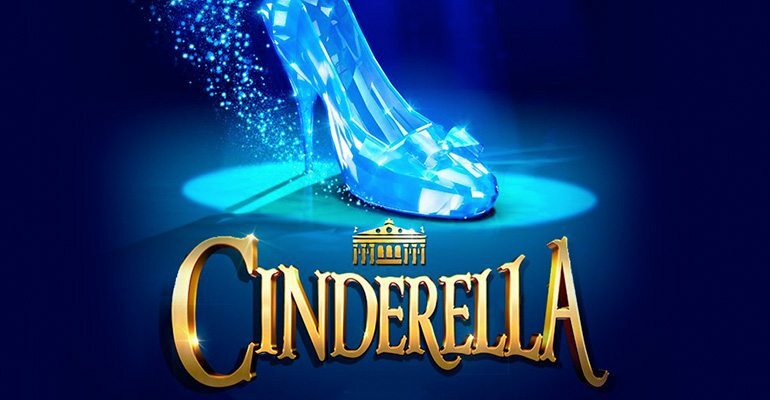 Cinderella promises to be an entirely family-friendly event! The best show I have ever been to the horses were magical. Everybody Brilliant in there own way. But I was aware that some people behind me, were recording a lot of the show. Hopefully next year they will be asked to switch of there mobile phones etc. If I had been further back next to one of these people I would have been mad as hell. The costumes were fabulous and the lighting. Thankyou for a magical show. Just spent a fabulous Sunday afternoon enjoying Cinderella. All the cast were brilliant with Julian Clarey leading the way in his own inimitable way! The act where they acted what they would do if not in panto was a master class in timing! We were in tears!! We were lucky enough to go for the opening night. Best night out for ages, absolutely brilliant, very,very funny, special effects, the glamour. Everyone involved were superb. Standing ovation from all able to stand, well deserved. Superb performances as expected. Julian with his many costume changes....more and more outrageous. Nigel Havers was absolutely brilliant. The sketch where they all took part with probs........if I wasn't an actor, what I would be was hilarious and a bit scary....in case the timing was slightly out, shouldn't have worried, too well rehearsed. The only downside was the unruly parents with badly behaved offspring. Kicking seats, shuffling around and generally being an annoyance. The worst culprits were sitting in row F on 22nd December ( matinee ). They know who they are but do not care about spoiling anyone's enjoyment of the programme. If you don't have any courtesy, lack focus for more than a few minutes and are unable to behave in a socially acceptable manner, please don't book tickets! Such a shame as we had travelled a great distance and their unacceptable behaviour spoilt our enjoyment of the performance. What an amazing show!! Glitz glamour humour special effects, just everything a wonderful pantomime should have, and Cinderella had it all and more. Would definitely recommend it. Also theatre staff were brilliant as I was in a wheelchair and they couldn't have been more helpful, which added to our evening. Absolutely brilliant, both my girls aged 10 and 8 loved it and Mum and Dad laughed their way through the show as well, would highly recommend anyone to go and see this show. Out of this world, brilliant cast. Well done and Congratulations to all the cast and production team! We were so disappointed with Cinderella!! It was an amazing set, music and opportunity in a world class theatre to present a Christmas show that was excellent. You obviously had the money, talent and venue to encourage and dazzle the world with true art. Our family flew in from America and South Africa for my birthday. We walked out after the first act and spent the rest of the afternoon trying to forget the gross and unprofessional, not to mention pornographic innuendos and content of Cinderella! We thought it was a show for the family at Christmas time?! What a shame! We wasted time and money. That was not art.